Mark Rossall, the longest serving member of the band was born in1945 and started playing in 1955. His first band was Freckleton and has had spells at Dutton Forshaw and Poulton–le-Fylde bands. Winning the 1st Section National Finals. Winning The Land O’ Burns Contest at Troon. Well, Mark certainly is an all-rounder! 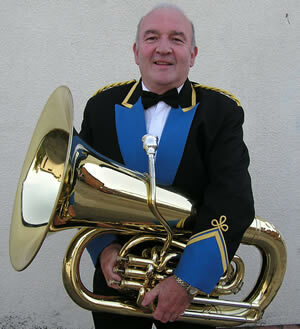 He has played Principal Cornet, Solo Euphonium, Solo Horn, 1st Baritone and EEb Bass, all at Freckleton Band! Mark’s whole family have been associated with the band, starting with his great-grandfather who was one of the band’s founder players. You will no doubt see a picture of his great-grandfather in our Band History section. His grandfather and great uncle (Tom), both played trombone with the band and each completed 50 years of service. 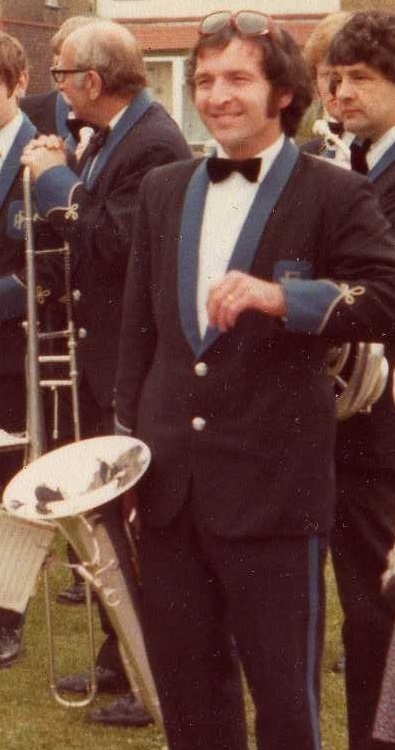 Mark’s father was a non-player but contributed as the bands secretary for 25 years, he was the bands Life President. Mark’s late brother John used to play Solo trombone before he moved away to Sussex. “Hobbies?, I have Grandchildren, there is no time for hobbies”. George Barker, born 1968, started playing in 1982. His first band was Stacksteads Band (Bacup). 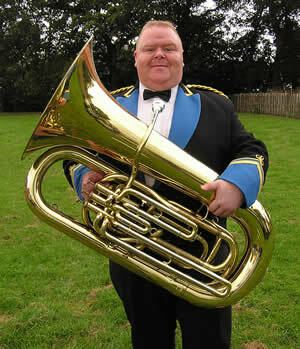 He has also played for Besses o’th Barn and Greenalls bands. George was a member of the National Youth Brass Band of Great Britain, and recalls meeting the late, great John Fletcher. He was the founder member of the “Besses Formation Drinking Team” along with Ian Dyson, John Binns, Nick Day and Dave Aston. George has only ever played BBb Bass, which is a rarity, and has played for most of the bands in the North West over the years.